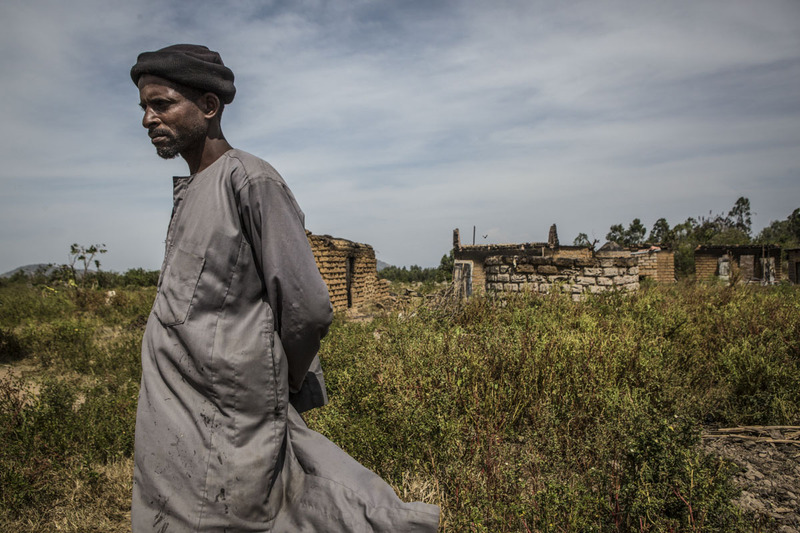 Barkin Ladi, Jos, Nigeria- Resident Idris Damina, 48, recalls the attack on his village by the Nigerian military outside the remains of Kandunya Village in Barkin Ladi, Nigeria on Tuesday, October 23, 2018. Villagers claim that Nigerian security forces from Operation Safe Haven burnt the village down the Sunday before last after attempts to question them about an earlier attack. The military denies setting fire to the village but admits that shots were returned when they were allegedly fired upon by villagers on their arrival.